So the impunity has reached the officers of Federal Read Safety Commission, FRSC right? How can a sane person act the way Nigeria forces are acting? What are even the standard of recruitment of this officer into various government parastatals? The video below is making round the internet. 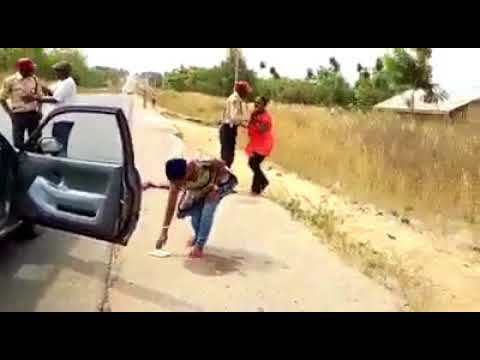 It shows an FRSC official beating a woman, after having a heated argument. She was also seen trying to hit him as the second officer dragged him back. The location of the altercation is yet to be ascertained.